In a move that is certain to rank among the most nerdy and stupid things I have ever attempted, I am going to catch every Pokemon ever released. This has been a goal of every person that’s played the games over their 20 year history, and something I have never done. I’ve only come roughly halfway close, although I did once catch everything in the main part of the game. When I was a toddler this job wasn’t that hard. 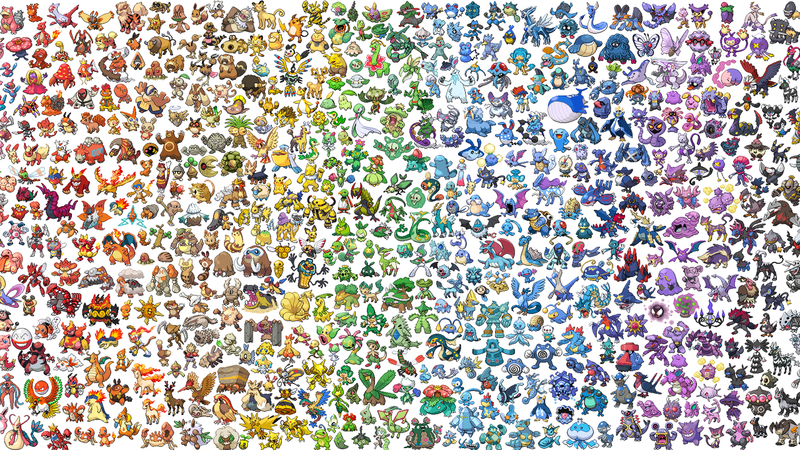 The original games only had 151 Pokemon that my parents, or at least my mom, could probably recognize 50 of. In case you haven’t kept playing the series the last few years, they’ve expanded that number. So this is where it becomes an absurdly dumb idea. This seems impossible. But actually it’s far easier now than ever. It’s not exactly easy, but now that you can trade things online it’s become much easier to find those missing pieces. Do you remember that story of a guy that traded a red paper clip for a house via Craigslist? That’s basically what I’ve taken to doing. While I can walk around in the game and pick up the necessary pieces to catch them all, the ones with random conditions to acquire, such as trading with another person, can be leveraged online to fill the toughest holes. Are you incredibly bored yet? I am just thinking about it. Pokemon as a franchise turns 20 this year and that’s what got me excited to try it. It’s something that appeals to the part of my brain that likes to keep busy. I do a lot of stuff for school and Unbreakable, so trying to collect things has always been relaxing. Taking a few months in the biggest Pokemon year of them all is really terrific. Here’s hoping I hit my maximum Ash Ketchum and pull this crazy endeavor off. And if you can help me out with some rarities that would be greatly appreciated. Who knows, I’ll even take you on head to head with an ever-growing list of options to use. But until we get all 720, let’s cue up the Pokemon National Anthem.